Check out these fun and fab paper creations from Paisley Prints, made to fit your personal style. From place-cards to programs and everything in between, everything can be perfectly crafted just for you. 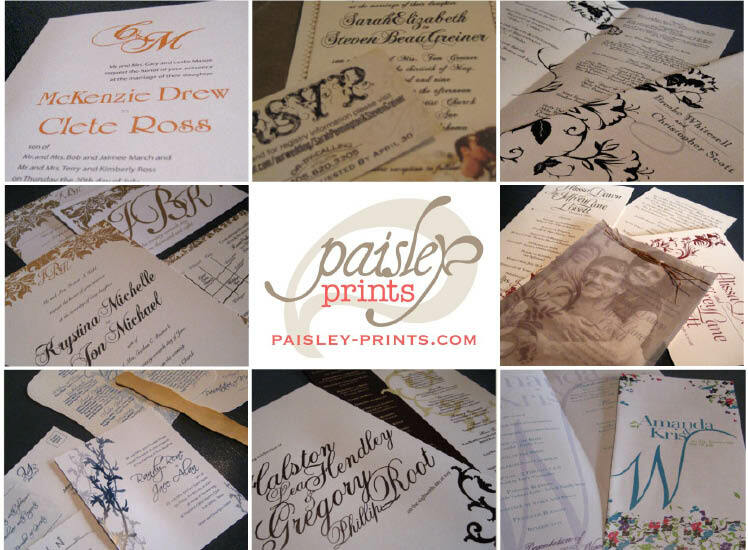 Whether it’s classic traditional or trendy hip, McKenzie Ross of Paisley Prints in Edmond, OK will create the perfect way to share your message. We just love these cutesy invites, they really set the tone for a fantastic event! Ciao! « Previous Post: The Perfect Gift!